Among the factors that limit the growth of sales abroad, is the lack of knowledge on the part of entrepreneurs of the potentialities of the sector to be chained and their lack of creativity to incorporate more products to the international market, as it was known in the annual balance of the Ministry of the Food Industry, which Granma newspaper attended. 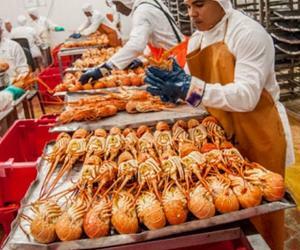 The country fulfilled its export plans for products such as rum, honey, lobsters and shrimp, but had to cut sales of others such as sugar, to be able to assume the national consumption demand. Despite the fact that in 2018 the sector was favored with investments that supposedly benefited the "dairy, meat, canned fruit and vegetables, confectionery, flour mill, bakery and soft drinks" branches, the food situation has been critical , and the town has suffered from a shortage of basic products such as oil, eggs, chicken, milk powder, bread and yogurt. In the past, the governor Miguel Díaz-Canel invited foreign investors to play "a more active role" in the agri-food sector, to "incorporate benefits such as access to export markets." The leader lamented that Cuba has imported three million tons of food a year and said that "increase primary production and modernize the industrial plant" is only possible in many cases "from external resources." He recently visited a center of the Fishing Company of Santiago de Cuba (PESCASAN), where prawns are produced, one of the products available to the Government to increase exports. By 2019 Cuba aims to materialize exports worth 216 million CUC.